Journey to Justice needs volunteer attendants for its human rights exhibition at the Art House, Carver Street, from Monday, 30 May to Friday, 24 June 2016.There are two sessions each day: 10.00 a.m. to 1.30 p.m. and 1.30 to 5.00 p.m. Training will be given. If you can commit to a session or more and for details contact Robin Story (0114 236 2251 or story.robin@yahoo.co.uk). Journey to Justice (JtoJ) aims to inspire and empower people to take action for social justice through learning about human rights movements. We are a voluntary organisation with supporters all over the UK. We ran a successful pilot of the exhibition in Newcastle-upon-Tyne last year and it’s coming to Sheffield in May this year followed by Sunderland and Tower Hamlets. Then it will travel throughout the UK for many years to come. 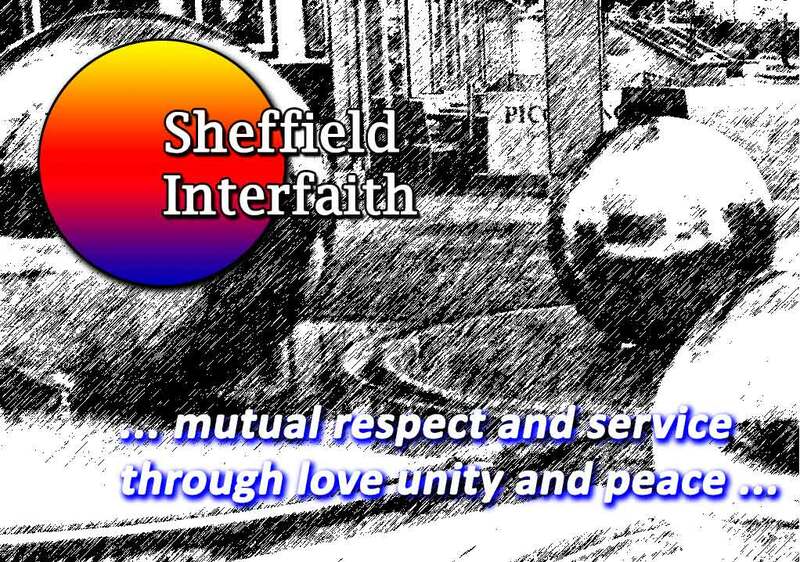 Sheffield Interfaith believes this to be a worthwhile project, that can appeal to people of all faiths or none, and is happy to publicise both the exhibition and the request for volunteers to act as attendants. Please email ama.sheffield@gmail.com if you wish to attend. You will be sent details of the time and address. The aim of the meeting is to explore the role faith can and should play in promoting World Peace. We will look at the Islamic teachings pertaining to peace and war. We will also explore the life and practice of the Holy Prophet of Islam (May peace be upon him). We will address some of the following pertinent questions: What were his teachings about achieving peace at the societal, national and international levels? What were his teachings about dealing with non-­‐Muslims? How should Muslims live in western societies? The program will comprise of a number of speeches and presentations. working with local communities throughout the country,and spreading our motto of ‘Love for All, Hatred for None’. Refreshments will be served at the end of the programme. Underbank Chapel are running a series of open evenings for meditation and quiet reflection over the summer. The first one will be held on the last Thursday in April, and thereafter on the last Thursday of each month until the end of September. The chapel is a beautiful setting, perhaps especially through the summer months, and everyone is very welcome. Jo Musker-Sherwood from Hope for the Future, an ecumenical campaign, started in Sheffield, to help churches lobby MPs on climate change (http://www.hftf.org.uk). This high profile event forms part of Sheffield Environment weeks, and presents some theological and practical information about why people of faith should care for the environment. Our speakers are from various Christian traditions and environmental organisations, but we would welcome people of any faith, philosophy or tradition who care about the environment. There will be ample opportunity to listen to and pose questions to each speaker; and, individually or as a faith or church group, to reflect on what all of this means for participants. Donations to A Rocha and Hope for the Future. Another chance to eat and talk together. Now the evenings are light, it’s even easier to come and join us for a bring and share meal. All are welcome, including those who are not members of a particular faith but interested in the spiritual life or the relationship between faith and culture. bring some food if you can, bring some conversation if you wish, bring a friend for support; we look forward to seeing you. How do we both inspire and support the next generation of young people in their faith journey when they go away to university- or arrive in Sheffield to study? Rabbi Golomb and Father Peter Cullen will share some experiences and insights into ‘Being Student Chaplains’ at the University of Sheffield. Does faith sometimes seem a bit solemn? Full of ‘thou shalt not’ and learning by rote? It shouldn’t be like that, and we’d like to show you some of the fun we have, both together and separately. We plan to include some singing, story telling and festive food from (probably) Christian, Pagan and Hindu traditions. Come and join the fun. Free entry – no need to book. Wednesday 27 April, 6.30pm at St Andrew’s Psalter Lane Church S11 8YL. An evening of talks, conversation and entertainment with a shared meal. For catering purposes, please contact Revd Gareth Jones at garethjones11@gmail.com or on 0114 250 8251 if you wish to come. People of all faiths and philosophies welcome.